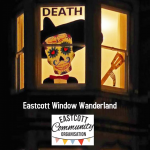 Welcome to Eastcott Window Wanderland 2019! 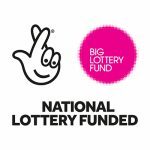 We are delighted to be bringing this fantastic event to Eastcott for the first time, thanks to a grant from the The National Lottery Community Fund and with your help we will transform the streets into a magical outdoor gallery for all to enjoy! We have over 130 registrations and it promises to be a magical weekend of walking. Remember to decorate your windows, cars, gardens and leave you lights on- on Saturday 2nd, Sunday 3rd March with an optional leave it up Monday! We can’t wait to see what you’ve all been up to! If you have any questions, please contact Anish or a member of the Swindon Window Wanderland team through Contact organiser on the right or email eastcottwindowwanderland@gmail.com. Online maps are available on our Eascott Window Wanderland event page. We have produ ced a paper map of participants, these are available from our Little Free library outside Savernake Street Social Hall and from some participating organisations including The Central Library and Swindon Dance. We will be sending out a short questionnaire next week- please do give us your feedback, it helps assess the impact of the project and plan for future projects.